A clash of the titans! Choose between 30 heroes each for the Sentinel and the Scourge. Special game modes in this version are reverse, teamrandom, allpick, mirrormatch, deathmatch, and allrandom. M-m-m-monster kill! 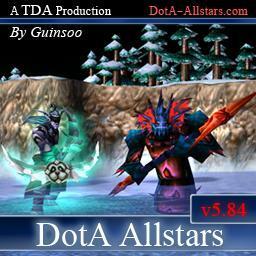 No one has posted a comment for DotA Allstars v5.84b yet.